CYCLE-COMMUTERS have been overlooked by the still-closed East London Line (map), a Loving Dalston investigtion reveals. The number of cycle racks per station will average less than 11… eventually… maybe. The train operator is also imposing severe restrictions on carrying bikes in its carriages. 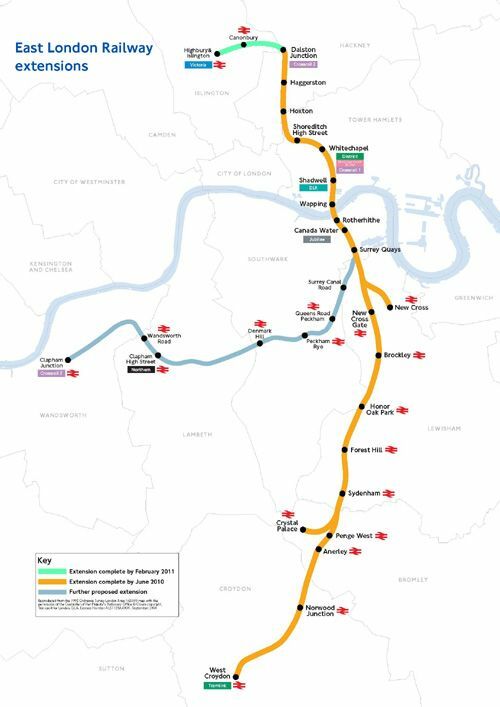 TfL told Loving Dalston that it aims to install 120 racks between Dalston Junction and New Cross Gate, which is until late May the operational extent of the line. Most of the racks will be exposed to the weather. TfL hopes that local authorities will install further racks but this seems optimistic given that even the 120 racks are doubtful: in some cases “planning permission from local authorities will be required”, admits TfL. Clearly, this £1 billion project’s leaders have failed to give meaningful consideration to cycle-commuting, which is odd when politicians like to talk about “joined-up thinking” on transport and the environment. Equally disturbing are indications that London Overground Rail Operations (Lorol) has not ruled out charging to carry bicycles, even though its four-carriage trains include no dedicated spaces for bicycles. The Deutsche Bahn-owned Lorol boasts that between Dalston Junction and West Croydon folding bikes will be carried free of charge; as if any railway company charges users to carry parcels, which is what a folding bike in effect is. To articulate such a policy point implies that Lorol wants at some stage to charge for non-folding bikes, if not also for folding bikes. Mayor Johnson’s office told Loving Dalston: “TfL has invested £1.5 million on installing more cycle parking at stations in 2009-2010, and is planning an initial installation of approximately 120 racks on the ELL stations Dalston Junction to New Cross Gate. The Mayor is committed to the creation of 66,000 new cycle parking spaces in London by 2012, and TfL is working to support this. Local MP Diane Abbott said: “You would have thought that Boris, who is so fond of his bike and is so keen to claim the ELL opening as his glory, would have looked into how the service measures up for cyclists. 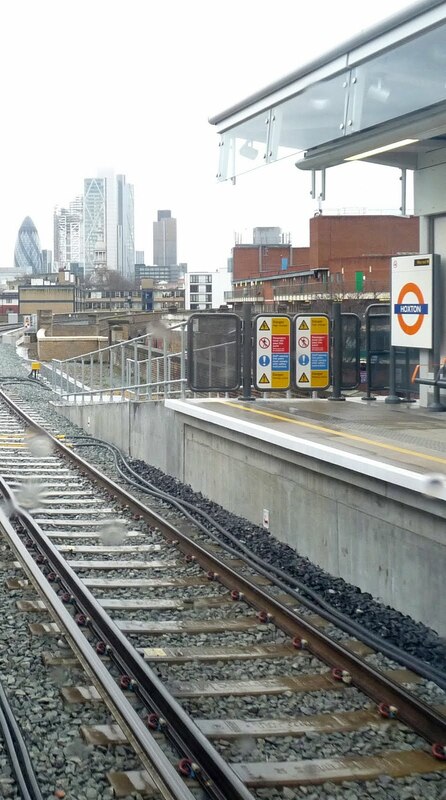 “Dalston Junction again fails to open”: more on this, press this hyperlink. Within days of Dalston Junction station’s opening, cyclists have been locking their bikes to the recently painted railings outside the building while inside a spacious hall waits as if for cycle racks. London mayor “Biker” Boris Johnson would not comment on the Ell’s lack of facilities. Perhaps cyclists should press Dalston’s newly elected councillors. Good points – there are a half dozen new sheffield stands outside Haggerston station – within view of the ticket barriers but no apparent CCTV – perhaps that is coming. I think it would be a much better use of public money to concentrate spend on secure or supervised stands at key stations, such as Dalston and Shoreditch.